A little bit about the history of Wapsifly. 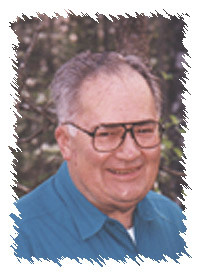 In 1945, Lacey Gee of Independence, Iowa began a fly tying business. With some financial help and encouragement from the owner of Wapsi Produce Company, Lacey established the Wapsi Fly Company. Previously, he had been employed by the poultry processing plant, which provided a ready source of feathers. That, along with incentive, imagination and a good deal of skill in fly tying, became the basis for his new business. The name, “Wapsi”, was a natural, as the buildings housing it were located on the banks of the Wapsipinicon River. The first few years were a near break-even proposition with most flies going to individuals and small accounts. 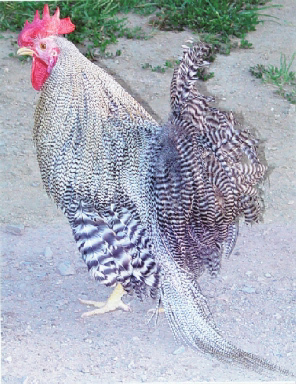 Profits came largely from the sale of thousands of rooster necks to two eastern distributors. By the late 1940’s, business was looking up. No longer were there sales to individuals. Approximately 16 women tied full time for several wholesale accounts. They produced better than 15,000 flies per week. The flies accounted for about 1/3 of the business. Packaged materials and bulk feathers made up the balance. Gradually the business prospered, ranking about number three in the country. Herters was number one, Universal Vise, second, and Wapsi, third. Universal and Wapsi gradually outstripped Herters who diversified into general sporting goods. 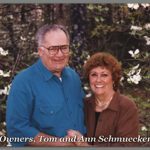 Tom and Ann Schmuecker were living on a farm near Amana, Iowa, raising boys, purebred Angus cattle, and Plymouth Barred Rock chickens. Ten years of careful breeding had produced a strain of fine crossbred birds. Tom was selling the production to Lacey. In 1973, Tom and Ann purchased Wapsi and moved their family to Independence, Iowa. For the next five years, Wapsi continued to tie for major companies while gradually increasing the materials business. However, with the changes in the economy, fly companies began to produce flies overseas. In 1978, Tom and Ann moved their family and Wapsi to Mountain Home, Arkansas. The promise of milder climate, great fishing, and new facilities provided the incentive. Changes were immediate. All production of flies stopped, and emphasis was solely on materials. Growth was rapid. In order to keep pace, Wapsi added new facilities and more employees. A disastrous fire in 1987 destroyed the warehouse, severely damaging the office and finished products building. The dedication of the employees and volunteer help from friends in the community and in the industry enabled Wapsi to stay in business, rebuild and expand. Tom’s knowledge of dye technology and years of experience have allowed Wapsi to lead the industry in raising the standards of quality of fly tying materials. Efficient, innovative manufacturing techniques have enabled the company to market large quantities of products of superior quality throughout the world. Newcomers to fly tying will not remember the years of poorly dyed products in short supply. 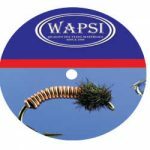 Wapsi has introduced many fly tying products: Lead Eyes, Wooly Bugger Marabou, Dyed Grizzly Marabou, Soft Tanned Rabbit Skins, Dyed Pheasant Skins, Mylar Cord, three sizes of Ultra Chenille, Razor Foam, Thin Skin, Foam Popper Bodies, Fly Tails, Sili Legs, and Hour Glass Eyes. Such high quality dubbings as Camel, Antron, Angora Goat and Superfine are all processed at Wapsi. Premo Deer Hair, Lead Free Wire and Lead Free Eyes are also Wapsi firsts. Today, Wapsi fills 62,000 square feet with plans to continue expansion. Wapsi is pleased to be a part of a growing industry where we can count our competitors as friends. Ann and Tom look forward to the future. Three of their sons, Karl, Joe, and Eric, are now vital parts of the business. They plan to continue to be a part of Wapsi as it grows and changes. We are proud of all of these accomplishments and plan to continue working hard to bring quality materials and ideas to fly tyers. You are our inspiration and motivation.